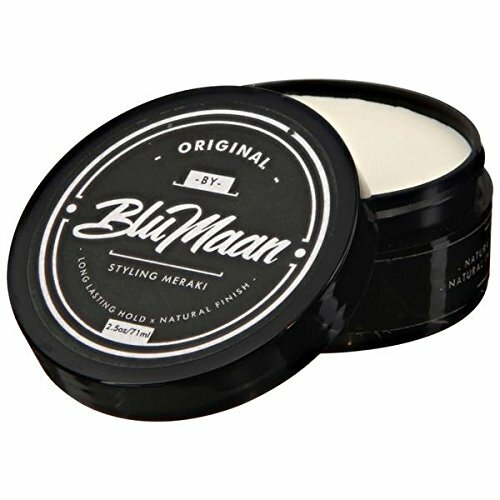 The BluMaan original styling Meraki is formulated to hold the hairstyle in place without stiffing the hair and adding shine on hairs. It comes in buttery creamy texture, which can evenly spread on hair. It is safe for hair and it prevents hair from heat damage. Buy the hair styling meraki from Amazon online shopping in Pakistan. LIGHTWEIGHT, ALL-DAY HOLD: Authentic, lasting hold without the typical stiff or heavy hair texture. MATTE FINISH: Non-greasy, non-shiny. Gives it the look like there s "nothing in your hair"
HEAT RESISTANT: Hand selected ingredient blend to protect hair from frizzy heat damage. PLIABLE, EASY-TO-APPLY: Buttery, creamy texture Easily restyled throughout the day while maintaining hold. NATURALLY BASED FORMULA: Bees wax, plant wax based formula Paraben-free, Sulphate-free.